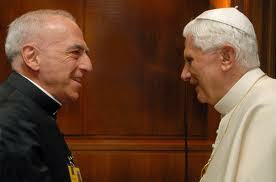 We post this now as an important part of the record during the reign of Bergoglio. While we discussed this on Twitter a few days ago, we are just now able to post this on the blog. Long-time readers know we have followed the "Good Bux" for many years (click the tags at the bottom of the post to read more). What the Msgr. 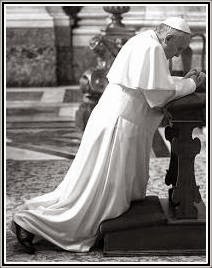 is speaking to, the validity of Benedict's abdication, and naturally following the legitimacy of Bergoglio's election, is no longer now reserved to online chat rooms and church basement coffee hours. What has been hidden for five years in the shadows is now illuminated and out in the open. 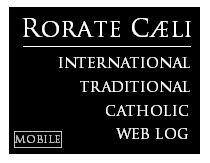 We take no position on this here at Rorate -- other than sunlight is always the best disinfectant.